Food trucks and a sports facility are included in these conceptual schemes by Buro Koray Duman for a derelict space under the Brooklyn-Queens Expressway, a major elevated highway in New York. 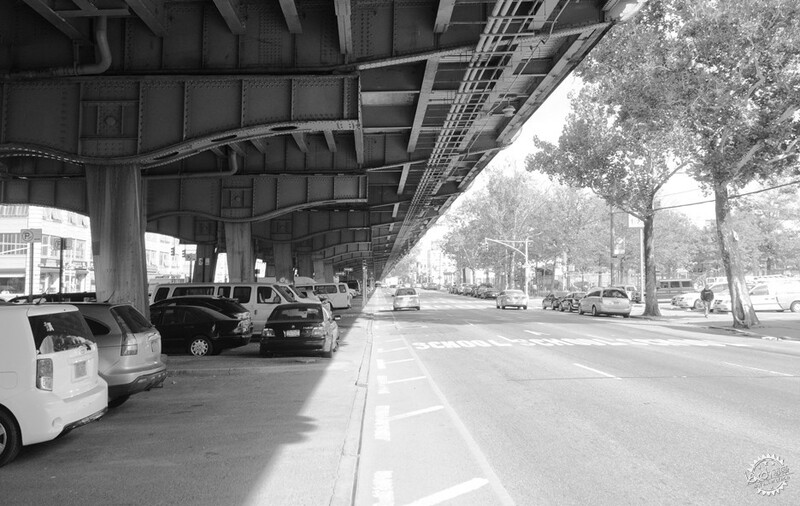 Titled Under the BQE, the schemes are focused on a forlorn parcel that sits under a stretch of the highway, known as the BQE, which passes through the Brooklyn neighbourhood of Sunset Park. 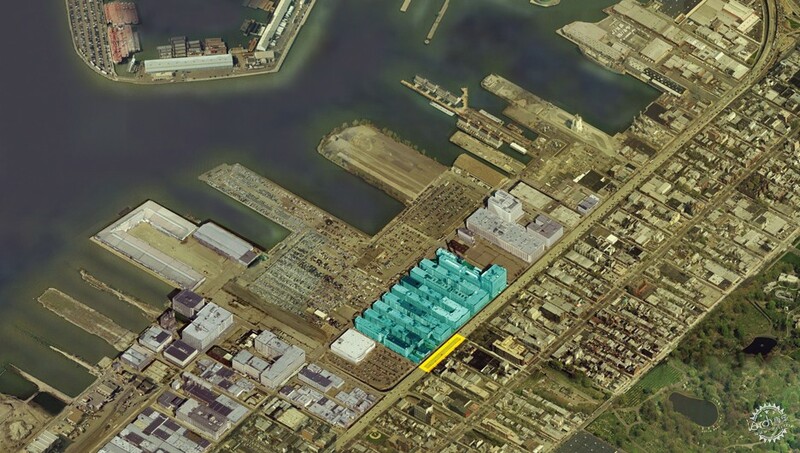 The site is near Industry City, a massive, old industrial complex that is now occupied by designers, artists and other creative professionals. 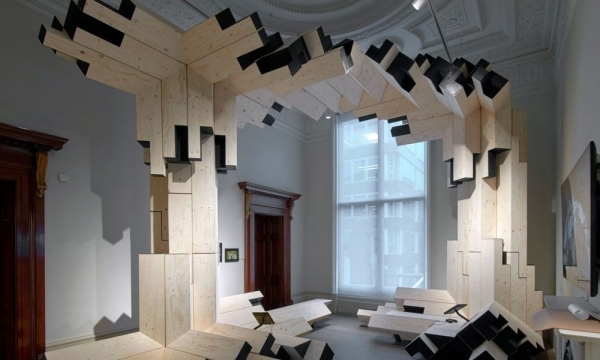 Many events during the annual New York Design Week are hosted at the waterfront complex. The highway separates Industry City from the rest of the neighbourhood. Buro Koray Duman, a New York-based firm, has proposed two schemes that aim to transform a darkened space under the BQE into a "gateway for Industry City". The site, which is punctuated with large cross beams that support the elevated roadway, is approximately 55 feet wide (17 meters). The highway above measures 90 feet wide (27 metres). The firm's first proposal envisions the site as a food epicentre, where "folded landscapes and roofscapes define commercial kitchens and parking for food trucks". The kitchens would supply food for the movable trucks, which would then travel to other areas of the city. "Once trucks leave for the city, the parking areas will turn into a park during day," the firm said. The kitchens will provide food for the neighbourhood, thus giving the space a "dual program". The undulating roof would provide sound absorption, artificial lighting and shelter for trucks. "The axial nature of the circulation in the ground plane is emphasised by linear hardscape and landscape elements," the firm added. 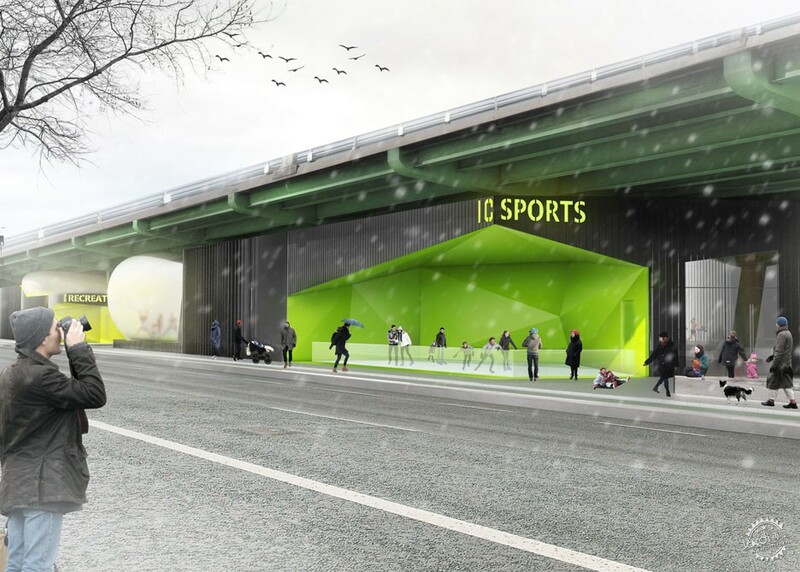 The second proposal calls for creating sports programming under the highway, which would "work well with the noise" that is generated by vehicles passing overhead. The design includes the creation of fields for basketball, volleyball and other sports, along with areas for exercise classes. 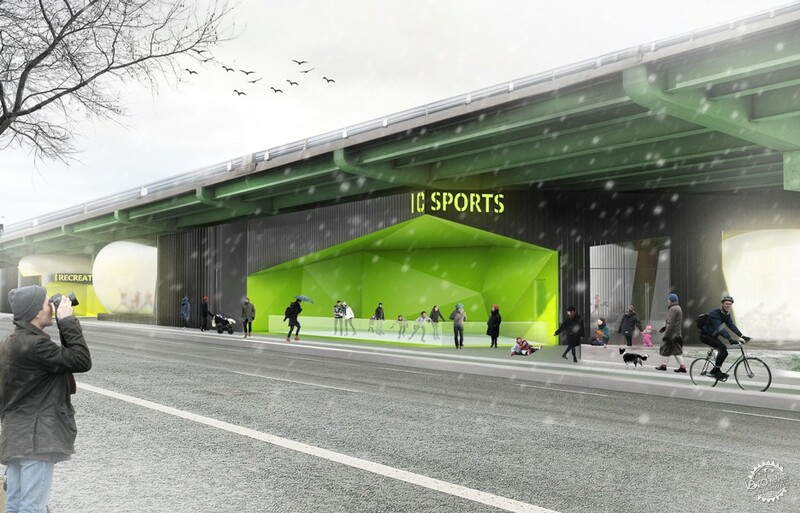 During the winter, the open-air sports centre would be enclosed within an inflatable structure "squeezed under the highway". The schemes are the latest in a series of plans by architects to activate under-utilised spaces beneath elevated roads, rail tracks and other transportation lines. 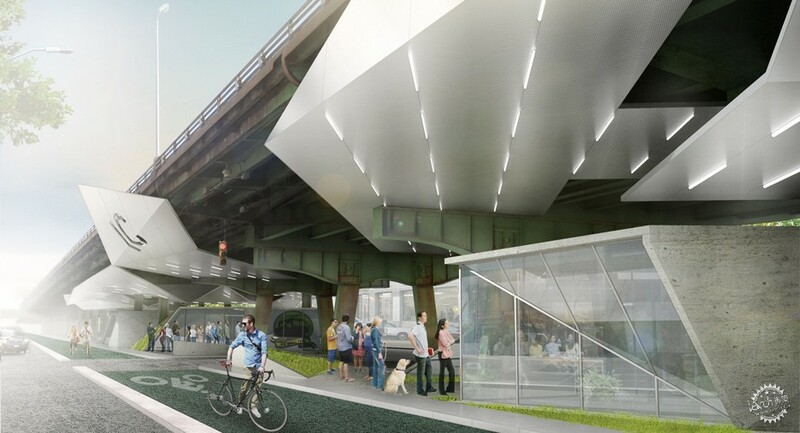 Related proposals include the Underline park by James Corner Field Operations, which would stretch below elevated rail tracks in Miami, and Project: Under Gardiner in Toronto, which calls for creating outdoor performance spaces and a pedestrian and cycle trail under a raised urban highway. 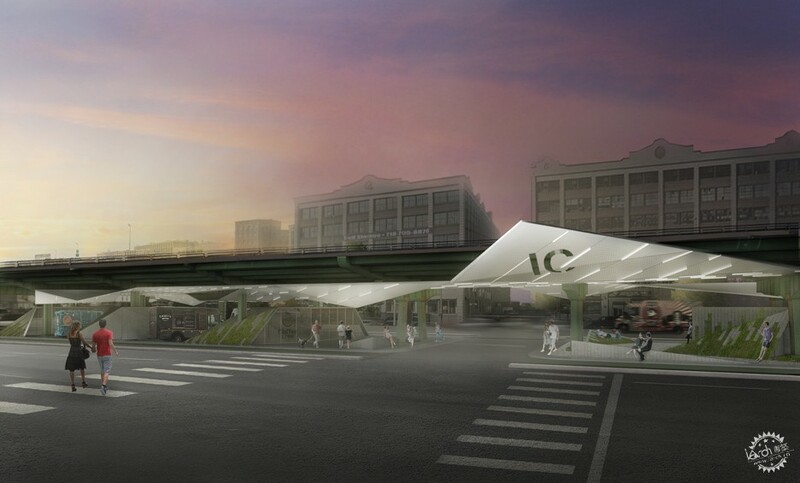 Buro Koray Duman's proposals stemmed from an initiative started in 2013 by the Design Trust for Public Space, a nonprofit group, and the city’s transportation department that aimed to revitalise neglected public spaces under bridges, highways and other elevated transportation systems and structures. 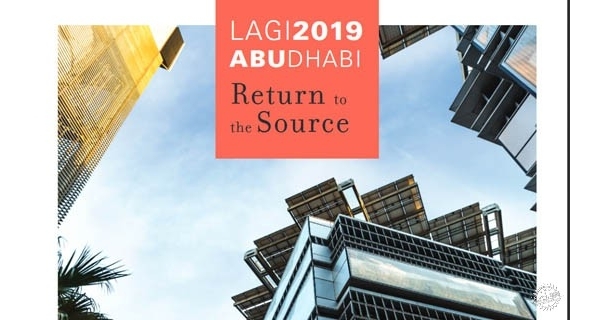 The initiative resulted in a report, Under the Elevated; Reclaiming Space, Connecting Communities, published in March 2015. During visits to Industry City, Buro Koray Duman, which was aware of the report, starting thinking about how to activate nearby areas under the highway. 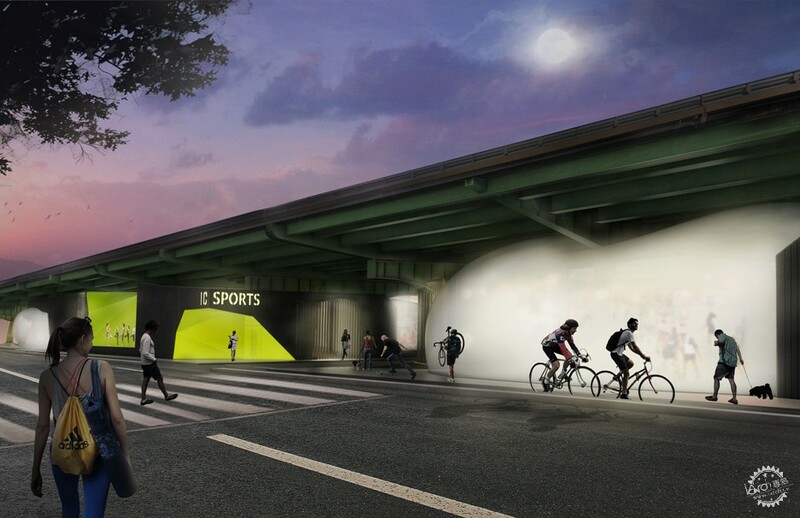 "Inspired by Design Trust's publication, our studio saw a potential to look under the BQE as it passes in front of Industry City," the firm said. "The BQE cuts the Industry City complex off from the rest of the neighbourhood." 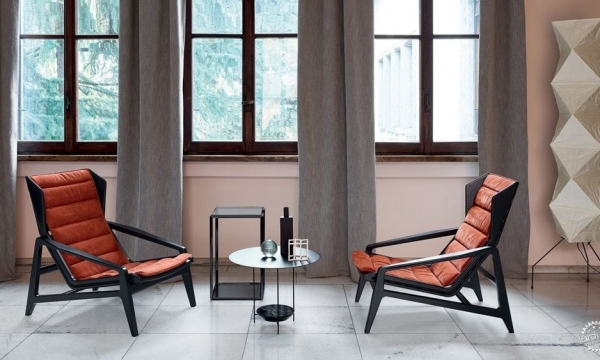 The firm conducted research last fall, which informed the resulting designs. "There are 700 miles of elevated infrastructure – highway or subway lines – in New York City, and a majority of the ground-floor spaces underneath are under-utilised," the firm said. "The proposals aim to start a conversation in New York City about potentials of the vast vacant areas underneath these existing infrastructures."